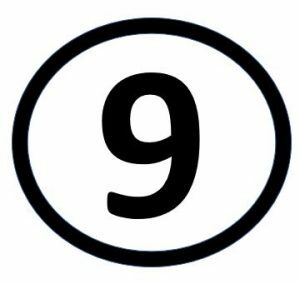 Before discovering numerology, John Lennon had been aware of the strong presence of the number 9 in his life but hindsight allows an examination into the odd ways it intersected The Beatles music, his life and his death. Lennon was born on Wednesday October 9, 1940 at 6:30 PM in Liverpool, England. The first home he lived in was at 9 Newcastle Road, Wavertree, Liverpool. Newcastle Road was his grandfather’s house, and while living there Lennon later wrote One After 909. The Ed Sullivan Show showcased The Beatles for the first time on February 9, 1964 and drew what was at the time the largest audience in the history of American television. Crime in America dropped noticeably that night, especially juvenile offenses. They toured the United States three times: in the summers of 1964, 1965 and 1966. John’s song #9 Dream peaked at number 9 on the billboard charts. On the day he died, John Lennon had a photo shoot for Rolling Stone magazine in his apartment. John stripped naked and laid next to Yoko for some of the pictures, one of which was used for the January 1981 cover. John was rushed to Roosevelt Hospital – on 9th Avenue (Roosevelt also has nine letters, as does Manhattan) where he was pronounced dead at 11:07 pm.